This summer, the Eugene and Marcia Applebaum Family Foundation generously provided the opportunity for seven students from Detroit Public Schools to become part of the Applebaum Scholars Education Program. The goal of this program was to prepare high-achieving youth for successful experiences in college and work through a 10-day experience at the Detroit Zoo. Students were selected after submitting an essay demonstrating their passion for animals; they were also recommended by their teachers. 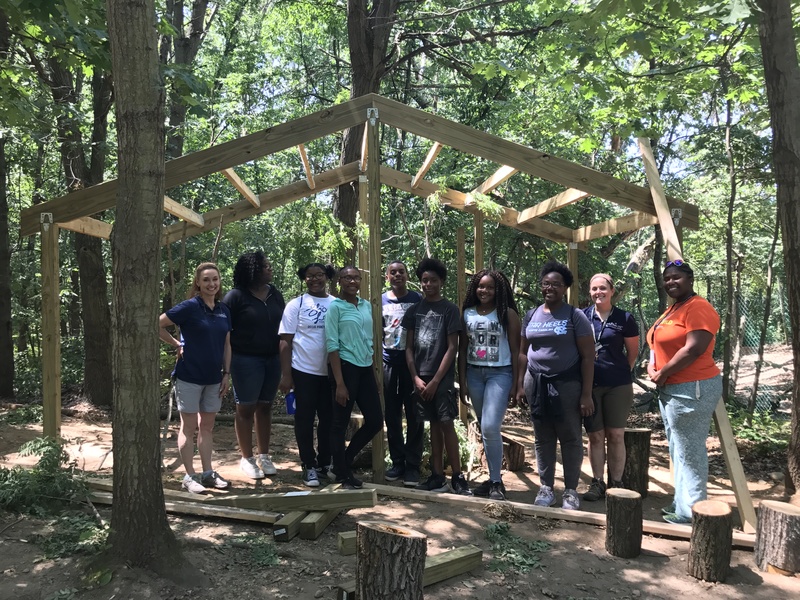 The first few days included an introduction to animal welfare through a variety of skill-building activities, including building a habitat for a crow living at the Howell Nature Center. The scholars then joined other high school students taking part in our Summer Safari Camp – Animal Welfare Workshop. 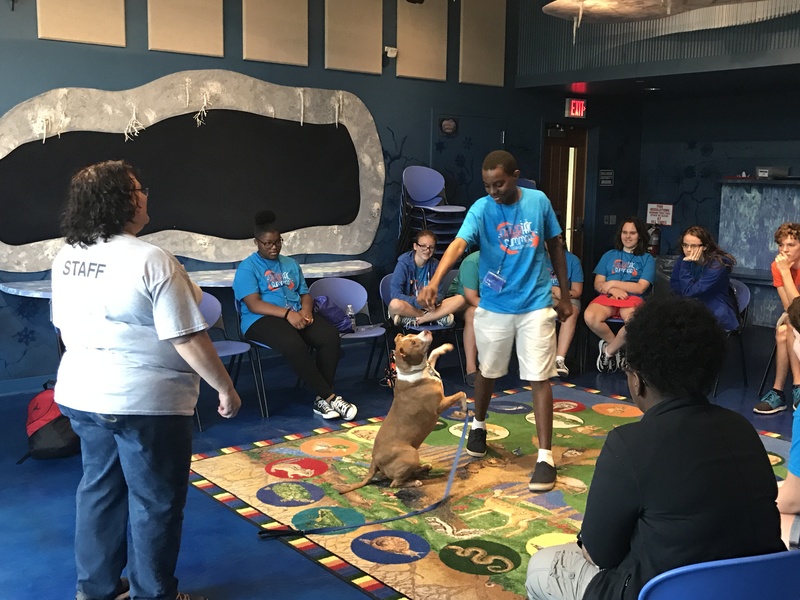 During this experience, the Detroit Zoological Society’s Center for Zoo Animal Welfare and education staff worked alongside youth to facilitate experiences that allowed them to learn about behavior from the perspective of an animal. Students crawled through the anteater habitat to see how an anteater sees and climbed in a bucket truck to view the surroundings from the vantage point of a giraffe. A training demonstration with a rescue dog was so impactful that one student shared her plans to apply what she’d learned toward training her own dog at home. The campers were then asked to make presentations with recommendations on how to improve the lives of animals that live at the Detroit Zoo, using the animal welfare knowledge they’d developed during their observations and camp experience. In the final two days of the program, the Applebaum Scholars focused specifically on college readiness. They toured Wayne State University (WSU) and met with advisors, receiving scholarships because of the visit and related activities. WSU advisors then joined the students at the Detroit Zoo on their last day to provide a workshop on SAT preparedness, college application practice and financial aid assistance. During the culminating ceremony, the student scholars shared stories of their experiences and showed deep gratitude to the Applebaum Family for the opportunity. We look forward to witnessing these scholars grow into successful young men and women.